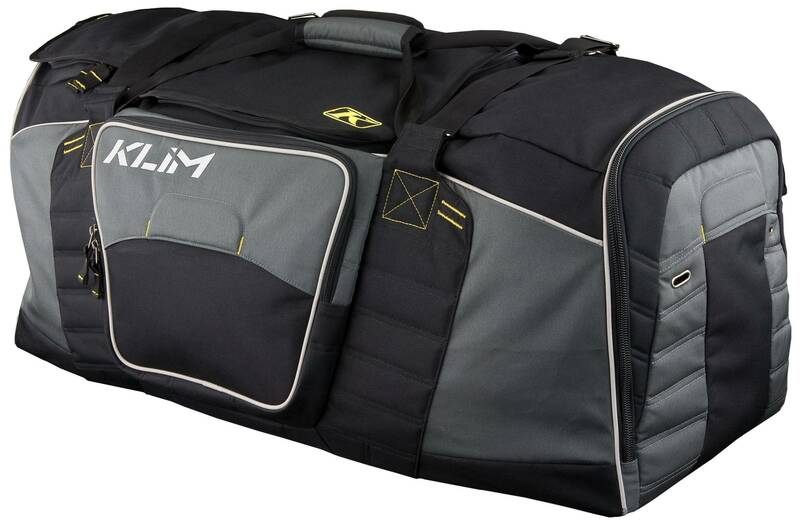 KLIM's Team Gear Bag takes payload to a whole new level. Its superiro capacity compartment system features four zones of intense storage: a deep boot compartment, huge center main gear comparment, soft-lined helmet pocket and quick-access external accessory pockets. Even when fully loaded (if you can find enough gear! 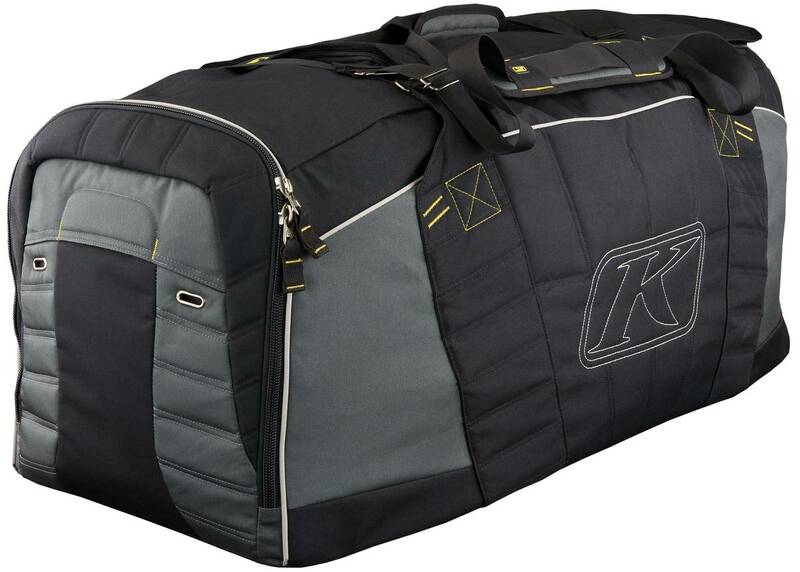 ), the Team Gear Bag remains easy to lift and carry thanks to an ingenious auto compression padded shoulder strap system and sleek, flush-grab side and end handles. Fill it, if you dare!